Over the years, Chrysler has designed and manufactured several vehicles. However, for the past 10 years, Chrysler has focused its production on three vehicles in order to improve their performance and design. One of the main components that make these vehicles outstanding is the engine that sits underneath the hood. Learn more about the 3.6L Pentastar TM VVT V6 Hybrid, the 3.6L Pentastar® VVT V6 and the 5.7 HEMI® VVT V8 engine. The well-being of our environment is crucial and Chrysler wants to make a positive contribution. This is the reason why Chrysler engineers have designed a hybrid vehicle that produces lower CO2 gas. The Chrysler Pacifica Hybrid is equipped with a 3.6L Pentastar TM VVT V6 hybrid engine which is capable of delivering a maximum power of 261 horsepower and a torque of 236 lb.-ft. Even though this engine is capable of producing such amazing power, it still has a best-in-class fuel economy rating with a fuel efficiency of 2.6 Le /100 km in the city. This vehicle is perfect for day-to-day driving and allows you to drive up to 53 km on zero-emission electric power when the battery is fully charged. The 3.6L Pentastar TM VVT V6 hybrid engine was the 2017 winner of the of Wards 10 best engines. Under the hood of the Chrysler Pacifica minivan lies the powerful 3.6L Pentastar® VVT V6 engine. The latter is capable of producing 287 of horsepower and 262 lb.-ft of torque. Furthermore, this vehicle has an incredible fuel economy of 8.4 L/100 km on the highway. Certain models like the Chrysler Pacifica Limited and the Touring-L Plus have a 3.6L Pentastar® VVT V6 engine with a stop-start feature that helps improve the fuel economy by up to 30%. This is the perfect engine to help reduce your CO2 emissions and provide optimal responsiveness on the road. 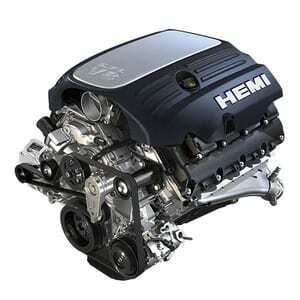 The last of the three Chrysler engines is the 5.7 HEMI® VVT V8. 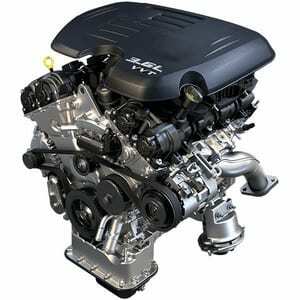 This engine can be found in the Chrysler 300 S, 300 C and other Jeep and Dodge vehicles. The FuelSaver MDS (multi-displacement system) serves to deactivate cylinders during regular cruising, which improves the vehicle fuel economy by saving fuel. Thanks to this technology, the Chrysler 300 has a fuel economy of 7.8 L/100 km on the highway. The 5.7 HEMI® VVT V8 engine delivers a power of 363 horsepower and a torque of 394 lb-ft. 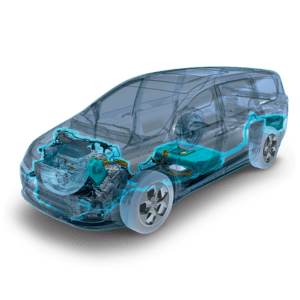 Please contact us at Great West Chrysler to learn more about our vehicles and technologies. You can also browse our new inventory today to explore your next vehicle.